&amp;quot;Vite di Collina&amp;quot; (Life in the Hills) is a short documentary about two similar yet different experiences. On the one hand we have Elisa and Gualtiero, two new rurals, new farmers who a few years ago escaped the big city of Turin to the small village of Cinzano Torinese, where they grow organic products and have started a restaurant and farm. On the other we have Matteo, a farmer for generations, viticulture in his blood, who in the same area produces Freisa, Barbera and Bonarda wines. Two stories of young people who are trying by every means and with great determination to live off and make an income through agriculture. 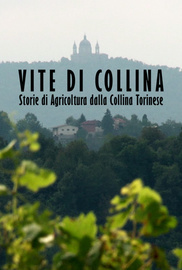 SUPERLANGHE Edition: 3 feature length films+17 extra contents!